Contact UsPrefab House FAQs Prefab NewsAbout Us ? See our latest Prefab Homes Under Construction And News, Here. Share your Prefab House story! Click here to send in pictures and share your progress. We want to see what you are doing! This modern prefab is being built "backwards"- a tiny house (the guest area) constructed first, then the main living areas added later. "...the little unit is so beautiful with the Iron Grey rainscreen and windows that look in all 4 directions! I can't wait to "move in" and start spending time in this healthy place. A fridge, sink, and stove will be installed in the North room, all necessary to receive an occupancy permit." She mentioned the contractor did not have green materials experience, so this is one more example of our prefab house kits adding green building skills and knowledge into each community, which makes me very happy. Follow this SIP prefab house here. 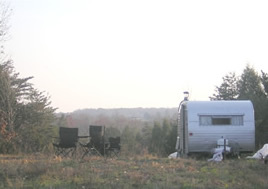 Phase 1: Fell in love with and purchased rural land. We are encouraging others to purchase those 50-100ish acre parcels in their own areas that are already on the market: to protect, preserve, and conserve. Phase 2: Got a solar cooker. Phase 3: Composting toilet purchased. Phase 4: Oh wait, NOW we start to build! 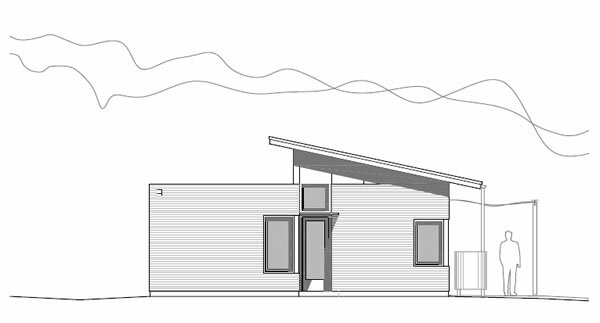 This modern cabin is from the Green Modern Kits line of modern prefab homes . Also Check Out Our Modern Prefab Homes brought to you by Green Modern Kits. 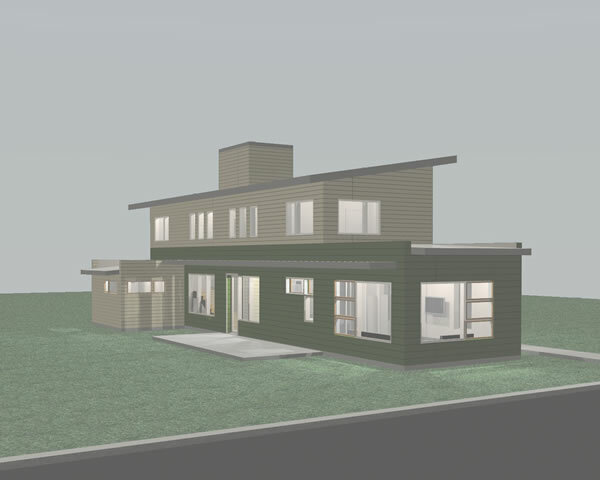 Head on over to our sister site for green passive solar design PREFAB HOUSE KITS with another modern twist.